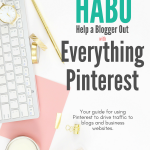 Pinterest Everything: All The Tips You Need to Get Blog Traffic from Pinterest! If you’re a blogger struggling to get traffic to your blog, you need this guide. It’s the step-by-step breakdown I wish I had when I just started out. You may or may not have heard that Pinterest can drive massive amounts of traffic to your blog. Pinterest is the one social media platform that doesn’t make it excruciatingly difficult to get your content out in front of hundreds of thousands of people relatively quickly. When you’re a new blogger, you need traffic relatively quickly. When I was on the come up, I scoured hundreds of blog posts, took Pinterest courses and read Pinterest e-books to get my traffic game on point. 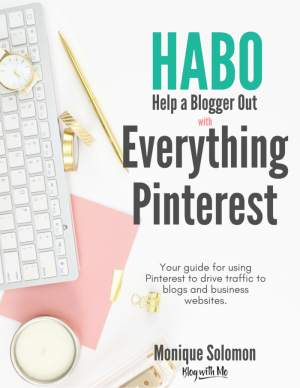 I was determined to get the numbers other bloggers bragged about getting from Pinterest. When I finally cracked the code, it felt good as hell. My efforts were finally paying off and my pocket was loving it. So I wrote the guide I wish I had when I was just starting out. It would have saved me A LOT of time and a whole lot of money. Read this post first if you’re completely new to Pinterest. It explains what Pinterest is, why you need it and how to set it up properly to get the most of all the features. Now let’s get into some tips. If you’re like me then you’re converting a personal Pinterest account to a business one to use for your blog. If not and you’re starting brand new, then you can skip this tip. I had a bunch of boards on my personal profile that were very random and had nothing to do with what I blog about. Things like home decor, wedding and my vision board. I still wanted these boards for my own personal use but I made them secret so I would be the only one with the ability to see what’s on them. Tidy up your boards by removing the unwanted or off-topic boards, either deleting or making them private. 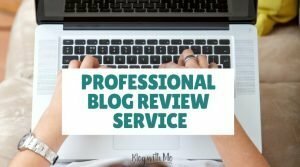 While you’re tidying up your boards, you’ll want to create more boards that are relevant to what you blog about or things your audience would find interesting. Fill them in with at least 15 high-quality pins from other people to get them going. Create a board where all of your blog’s pins will be housed. You will use this board as the hub for several campaigns and other marketing efforts further down, but you also want a place where you can quickly and easily find all your pins. 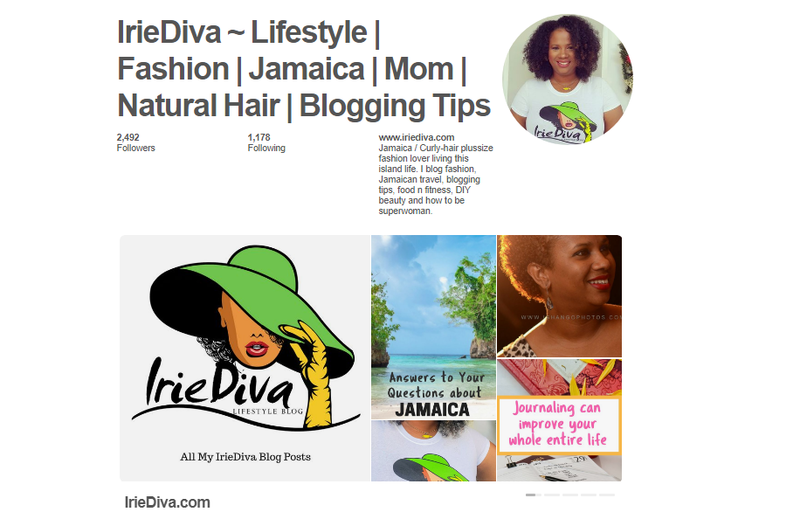 You also want a board that you can showcase the best of your blog right at the top of your Pinterest profile so anyone visiting your profile will have something to check out to quickly see your content. Your boards are moveable. Drag and drop them in order of importance with your best of board as your very first one. 5 Add a few board covers. This is not incredibly important but it is very useful to me to quickly identify my board in a long list of boards when I’m pinning. It also makes my profile look pretty when it’s visited by anyone, which people who are considering adding you to their group boards will do as well as anyone considering to partner with you for a paid social media post. I only do this for my most important boards at the very top of my profile. I went lazy and just did my logo on my covers, you could have yours designed in Canva to fit what each board is about. Either way, it’s not that important so don’t spend forever on them. The importance of keywords are explained in my Everything Pinterest ebook where I give you the breakdown of Pinterest SEO. You’ll need to understand Pinterest SEO in order to get your pins at the top of the smart feed for relevant search terms. Here are a few basic tips. I use this same profile picture across all my social media platforms to keep things recognisable. If I change it on one, I will change it on all. 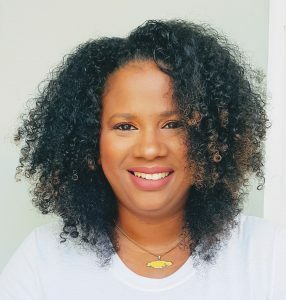 My profile pictures used to be my logo however I find that putting your face out there helps to personalise the brand and build a connection with my readers and greater community. I spoke about how to do this in my Pinterest post here. Converting your existing account or setting up one as a business profile from the get-go gives you access to analytics and rich pins. You’ll need these. You can also promote pins via a business profile if you need to. Once you’ve set up your profile and have filled it out with your own pins and pins from other people onto your relevant boards, it’s time to start applying to group boards. Group boards will be the key to your traffic success on Pinterest. It gives you access to someone else’s audience, which might be quite larger than yours. To get on a group board, you’ll need to ask the owner to add you as a contributor to their board. If they agree to do so, you will now have the ability to pin your pins to their boards with their much larger audience. Here are the tips you’ll need to know when it comes to group boards. When I just started out, I jumped on all the general niche group boards I could find, as long as they had a larger audience than I did. These catch-all boards can be great. There’s one of them I love because it sends me a ton of traffic and has over twenty-three thousand followers, but it will be beneficial to also find group boards in your niche. Now I am in group boards that relate to all the various topics I write about and I am seeing much more traction. The easiest way to find group boards is to visit the profile of a blogger in your niche and see which boards they are in. This will take you down a rabbit hole of boards to apply to. I give you all the details of finding relevant, quick moving group boards with high repin rates in my Everything Pinterest eBook. Not all group boards are worth your time. Having your own group board is a great way to get more followers. 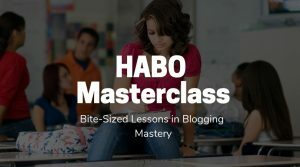 On Pinterest, if you’re on a bunch of bigger group boards you can get great traffic without a large following, but you still want to slowly build your own following so that your own boards do well too. 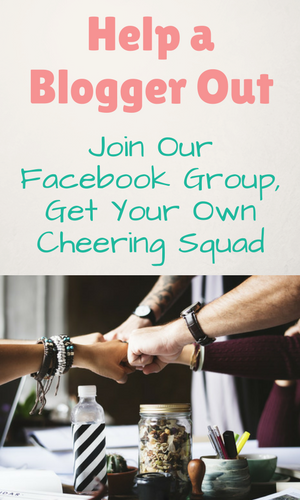 Having your own group board and promoting it in Facebook groups for Pinterest group boards in one way I have steadily built my Pinterest following to over 2500 currently. Your pin design will be the crux of your success once all of the above is applied. It’s no use being on big group boards if no one ever repins your pins or clicks on them because they’re hard to read or otherwise unattractive. Here are a few tips for nailing your pin design. The fonts you choose can make or break a pin. As a girly girl, I chose a lot of script fonts when I was just starting out. They look great on a design but can be hard to read, especially if they are light in colour and appear too small on a mobile device, which is probably where your pin is most likely to be seen. That said, you can still utilise scripts as highlights if you choose. Just make sure that the essence of the pin is clear and legible. This pin, for example, is very simple in design. The most important words are the biggest. The words “right now” aren’t the most essential part of what I’m saying but is a nice addition. Yes, I want to grow my blog, and even sweeter if I can do it right now. So the script simply adds a nice cherry on top. Vertical pins perform best on Pinterest. The smallest dimensions I recommend that your pins be are the default dimensions that Canva uses: 735*1102. Stay away from square or horizontal pins. This is an art that you really need an eye for. Since I am not graphically gifted, I tend to scan my feed to see what catches my eye and use it for inspiration when creating my pins. After a while, you begin to develop your own personal style which should also be influenced by the type of pins that you notice performing really well for you. So experimenting is key. Bottom line: Make your pins easy to read. Do not try to add text over busy images without some sort of background for the text itself and stay away from too much script. Unsplash and Pixabay are two places that I like to get free stock images to use for my pins. Always make sure to add your logo or website to your pins. This will help to build your brand. People who are familiar with your brand are more likely to repin and click through to your pins. It can also help to deter people from stealing your pins, though this is very possible still. Pinterest is a search engine and so should be optimized for similarly to Google. Here’s how to do that. This is my basic Pinterest SEO strategy. You can get the full picture within my Everything Pinterest ebook. When you start to enter a search on Pinterest, some suggestions will come up. Take note of any that matches your content as you will want to use this in your pin description. Once you’ve hit enter and completed the search, some more keywords will be at the top of the Pinterest search result page. The buttons that run across the top show the most popular keywords relating to gardening. Choose one or two relating to your post and add them to your pin description. Refer to this post on how to identify your Google SEO Keywords. The headline that you use on the image itself should make an impact and inspire that repin and clickthrough. Here’s where you can test a different headline than your blog post title, since that title may work better on Google than social sharing. When you read the SEO post above, you will be able to identify your alt tags and know why they are important. Pinterest pulls the alt tag as part of your pin’s description, so make sure your keyword is in there as part of a flowing sentence or two. Now that you’ve done the legwork of getting your profile and pin design ready and even done some SEO, you’re ready actually get your pins in rotation. It’s important to manually pin as much as you can so that Pinterest recognises that you are active on their platform. As a blogger, everything you do should be driven by strategy. So it’s not just hopping on Pinterest pinning all willy-nilly, there’s an art to manual pinning that will bring you the traffic that you deserve so check out my book. You won’t have time to manually pin every single day though but you want your pins to be going out to your group boards every day! For this, I automate my pinning in different ways. I use Tailwind mainly for Tribes and to automate pinning third-party pins. I explained how Tailwind works fully here. Tribes are like one big group and everyone’s pinning everyone’s pins. It keeps everyone accountable since on group boards you have no idea if anyone is even pinning from the board even when it says so in the rules. It also opens you up to a much large audience since a bunch of people can be pinning your pins instead of you adding your pin to just one group board with one set audience. Check out Tailwind here to get a free trial of 100 scheduled pins. There’s no use to do all of this work if you’re not encouraging your readers to share on Pinterest. Here’s how I recommend doing that. Use a social media share button plugin on your blog so that your posts are easily shareable to all the top platforms. I use Shareaholic, Social Warfare is good too. Add buttons to both the top and bottom of your posts as people rarely make it all the way down to the bottom of your posts. I even have one floating on the side so wherever you are, if you feel to share, you can. People ask all the time where they should add their pins to their posts. Should it be top or bottom or looming there looking large in-between? To that I say, it really doesn’t matter. Yes, pins are rather large and obnoxious on a blog post when viewing on a laptop/desktop. But what many people aren’t realising here is that they can change the size of the image inside the post without having that affect the size of it when it’s shared to Pinterest. All my pins are generally to the side of the words in my posts unless you’re viewing it from mobile which then it really doesn’t look that large anyway. Create more than just one pin. This is how you’ll know what works best for your audience, by testing what colours, headlines and images work well you’ll best know how to design pins in the future. Also, when a pin eventually dies down, you’ll want to create another to stir more traffic to that post. Multiple pins also give you the option for adding your post to many different group boards without having your Pinterest profile looking spammy. One way to experiment with getting more Pinterest followers is by adding your Best Of board to your sidebar or footer or even trying one of those social media popups that bring attention to your Pinterest profile and a chosen board. I have not tried the popup, I like to use the methods above for getting more traffic and feel like my pop up is best used to encourage sharing rather than follows but you can certainly give this a try. You should be pinning every single day just like you want to get traffic every single day. That’s why I use the above tools to help me automate when I cannot pin every day. You also want to be pinning multiple times throughout the day, not just at one particular time. Tailwind is quite handy for helping with this. Around 30 pins per day is optimal but with lots of pins and posts now, I pin way more than that. Especially if you’re not using Boardbooster to loop your pins, you want to remember to repin your own stuff to your relevant boards often. But not your pins from your own boards, pins of yours that other people pin. You find these in your Pinterest notifications where it says “10 of your pins were saved” or similar. Go to those boards that they were saved on and repin them to your own relevant boards or other group boards. In my free blog traffic challenge, I show you how to track your pins inside Google analytics to see what’s trending. You also want to keep an eye on your Pinterest analytics to see what the demography of your users are, what else they’re pinning and what types of accounts they’re following so you can get ideas for future posts. Ok. That is Pinterest everything!!! 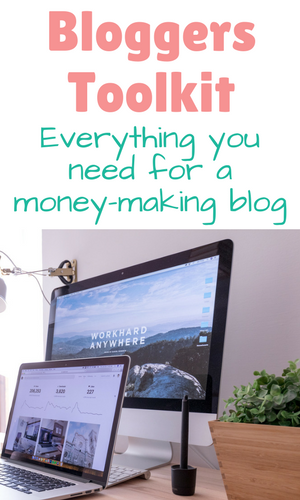 If you couple your Pinterest marketing efforts with affiliate marketing, you will begin to earn significant income from your blog. I do hope you found this post helpful! Let me know if you did in the comments below and please pin to Pinterest if you liked it! Can’t wait to dive into these steps tonight! And I am all signed up for the 5 day challenge! Want to just take over my Pinterest for me and make sure it’s how it should be so I can get some BOMBBBB traffic. Never really been able to tap into it, despite listening to some if not most of the tips! I have been looking for a good post about how to use Pinterest with your blog, and I have found it!!! Thank you! Great post! I really like the tip in #16. I tend not to follow advice too strictly, if at all, but this is one that resonates with how I work. I also have a question. In tip #8, you mention that when you change your profile picture in one sm profile, you change it in all of them. I have had to fill out a profile in so many places, I can never find them all when I want to update something. Do you have any resources or strategies for keeping track of your online profiles? Hi Marsha, I totally get that but I really only pay attention to the social profiles I am most active on and they drive traffic to me. So for me that is Pinterest, Twitter, Instagram, Facebook, Linkedin and Google+ I don’t worry too much about the others and I use Gravatar so that my picture follows me around wherever else. Thank you so much! I haven’t used pinterest in forever, but realized I have a moderate gold-mine of followers on there, so I’ve been wanting to learn about utilizing it to the best of my ability! Great ideas! I’ve really started focusing on my Pinterest for traffic. This is helpful! This is seriously so informative! I have slowly but surely been realizing the power of Pinterest and changing up my aesthetic! This is definitely a go-to reference, great job! This post is gold! My Pinterest game is lacking, so this is just what I needed! Thank you SO much for putting all of these tips together! Will be utilizing them very soon! 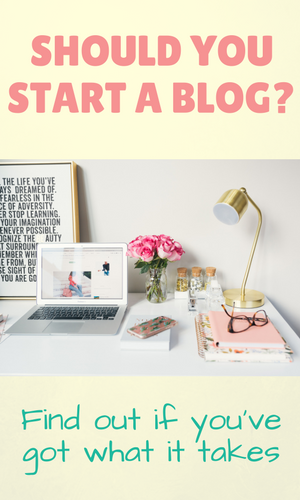 These tips will definitely help me out as a new blogger. I love posts like this! These are really great tips, I knew nothing about. Thank you ? Really good tips! I feel like I ha e a solid foundation in Pinterest, but it’s always looking for new strategies. I have a question about #26-repin your own pins… what’s the reasoning behind repinning them from someone else’s board? I always repin from my best of board. Much appreciation in advance for any input! This article had so much good information! I will be saving it and using it! 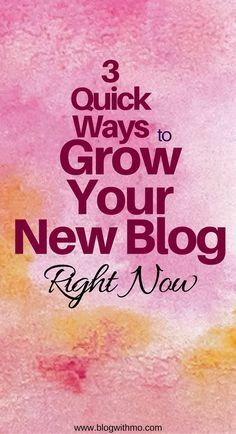 This is really helpful to grow your blog views and improve on pinterest too. I will work on a few by categorizing my post. Thanks for sharing this post. Very thorough post. So helpful. I’m saving this as a bookmark and pinning this to come back and implement as much as I can. Thank you! Thanks for sharing. This post is really helpful especially for someone like me who is still trying to perfect my pinterest game. 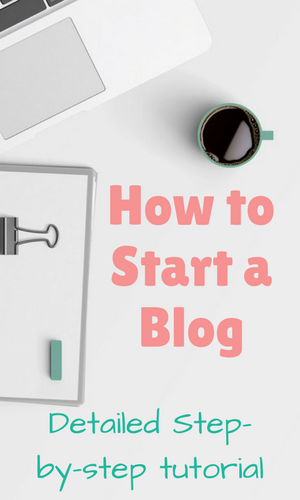 This was very helpful, especially for a first time blogger. Thank you for posting! Great post! You’ve thoroughly covered great amount of content! I am finally starting to get the hang of Pinterest, yet I feel like I still learn something new about the platform every day! My traffic has definitely improved from Pinterest, so I have to be doing something right…will have to try out the pinks and reds though. Thanks for the tips!